What do you opt for in your life? Fear or trust? You can reason and find fear. so much more clarity than I could ever understand. the most precious gift, given most freely. 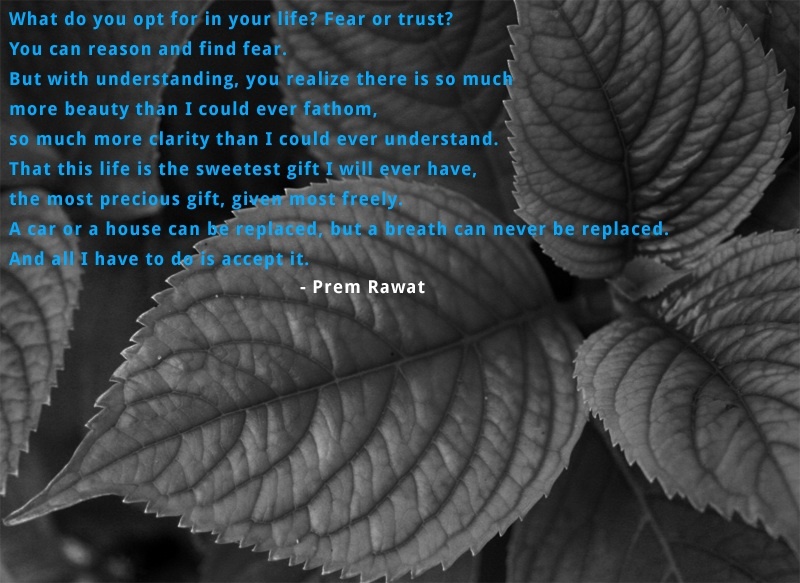 A car or a house can be replaced, but a breath can never be replaced. And all I have to do is accept it.